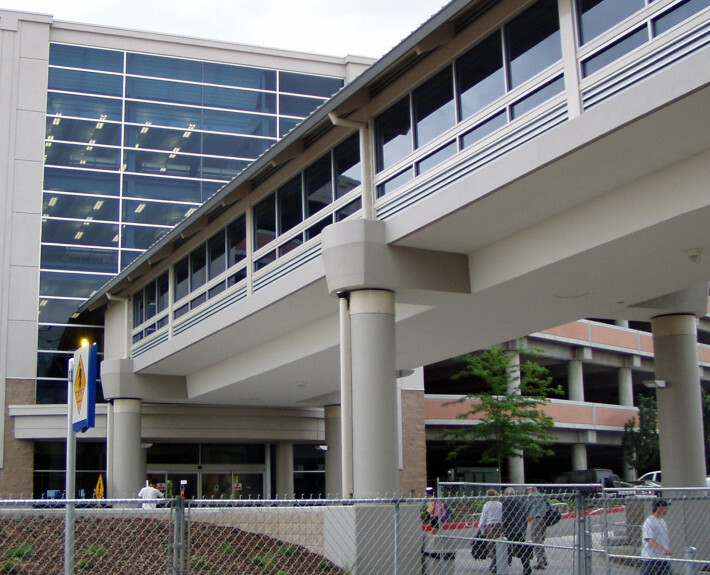 Boise Airport Elevated Roadway - McAlvain Companies, Inc. 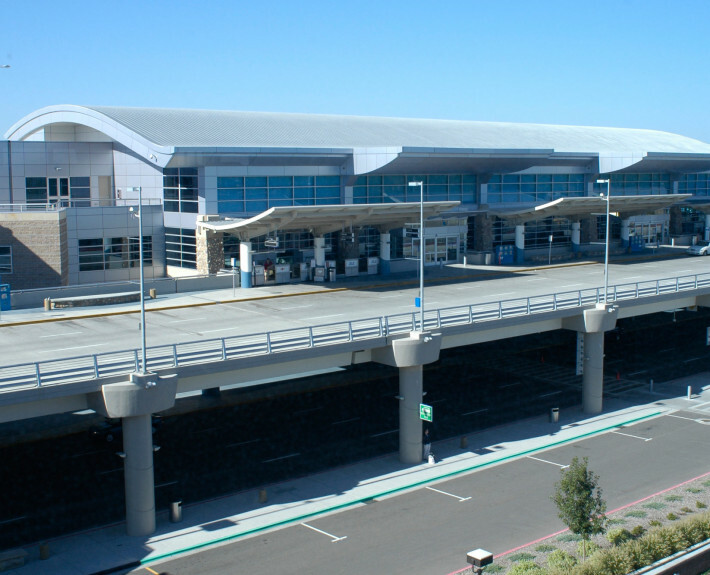 The Boise Airport Elevated Roadway project consisted of approximately 3,770 linear feet of at-grade roadway construction including 790 linear feet of MSE approach ramp adjacent to the new passenger terminal building. The work also included approximately 990 feet x 70 feet of roadway bridge and 120 feet x 25 feet of pedestrian bridge, including railings, lighting, canopies, and pavement markings. 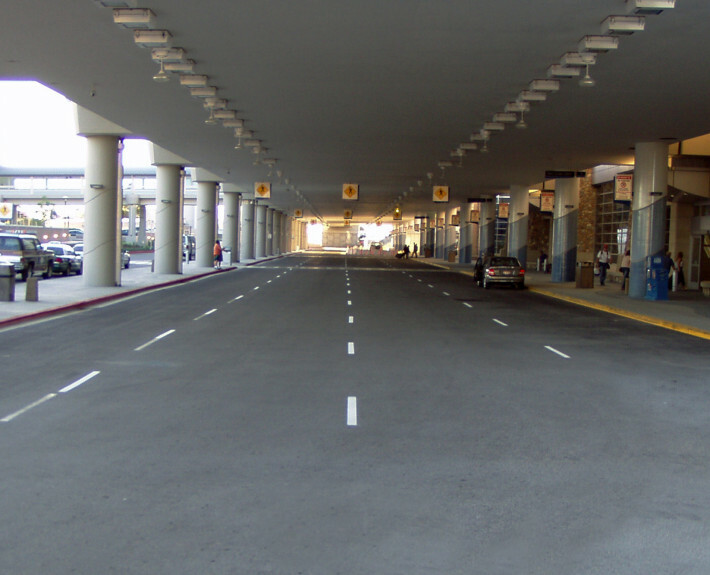 The work involved construction of temporary pedestrian and vehicle traffic facilities, demolition, excavation, asphalt paving, concrete curb and sidewalks, signing, pavement marking, lighting, storm drainage, and sanitary sewer installation. 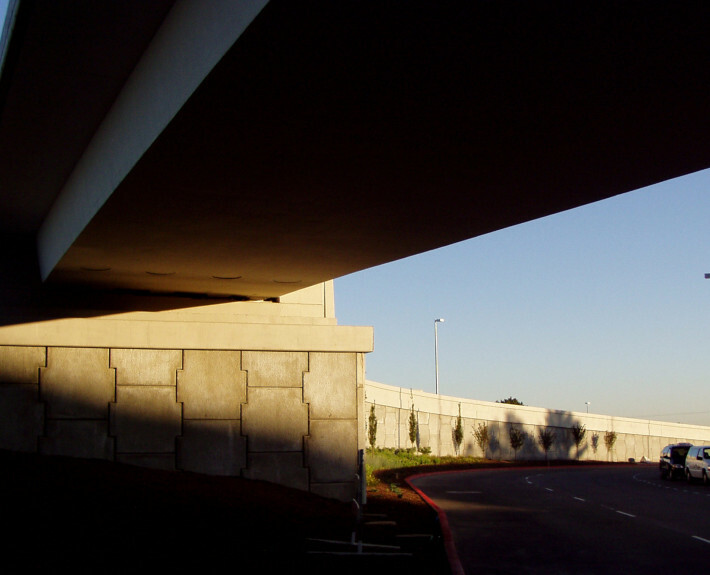 The job also involved the construction of a reinforced concrete box bridge supported on drilled shafts to accommodate 4 lanes of roadway traffic at the upper level of the proposed new passenger terminal building.